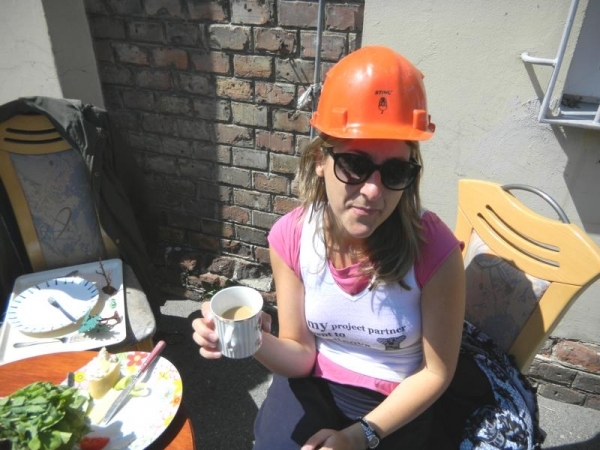 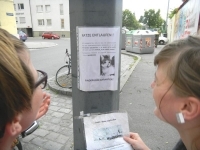 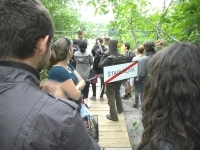 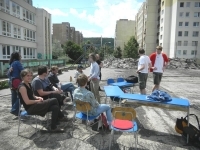 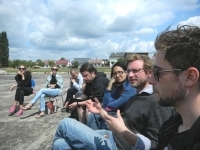 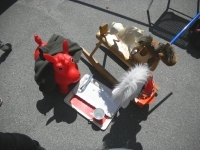 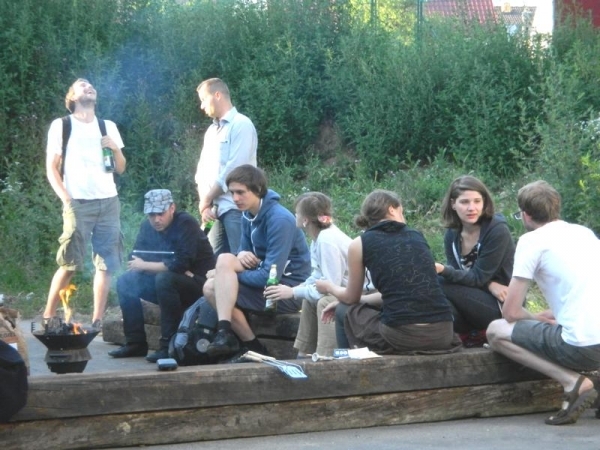 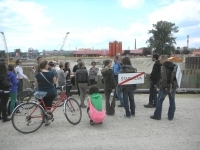 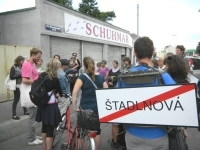 And there we went: Two interdisciplinary workshops to explore and create what could be Stadlnova, taking place at the last weekend of June and first weekend of July 2011. 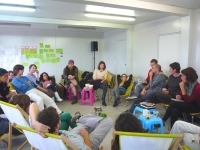 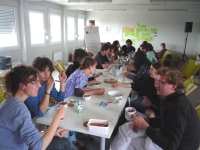 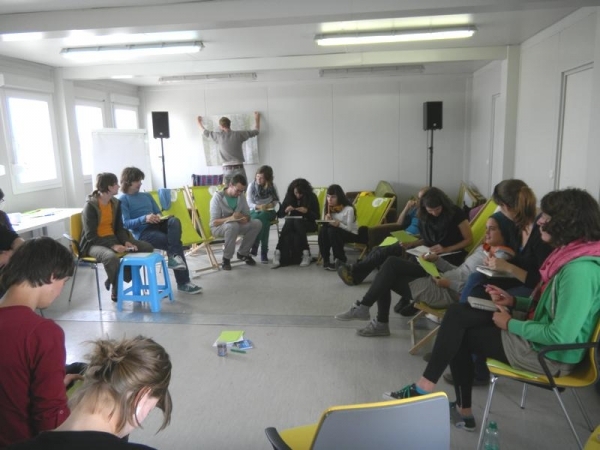 In the middle of it 20 young participants from the region Bratislava-Vienna, interested in marginal(ized) aspects of these cities and all the in-between, and willing to collaborate on new ideas and questions emerging. 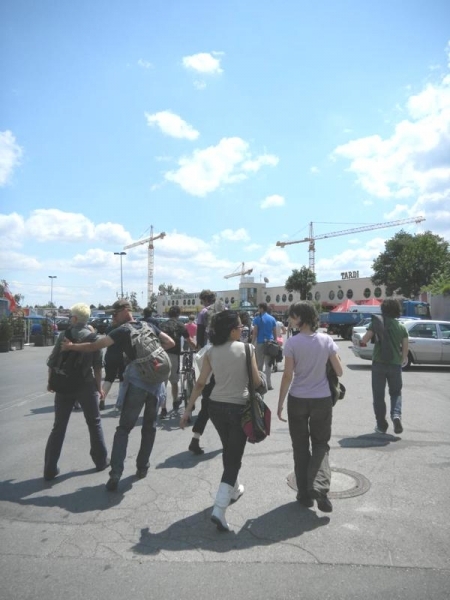 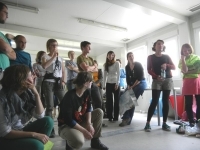 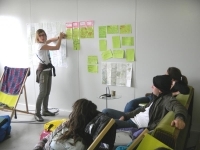 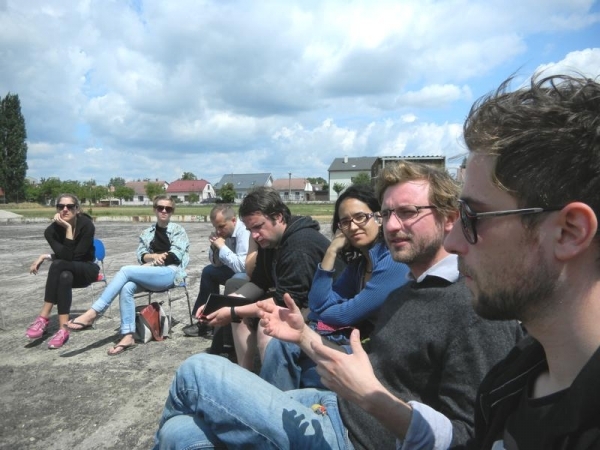 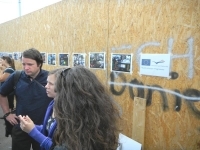 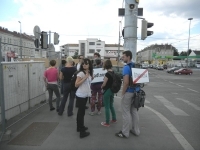 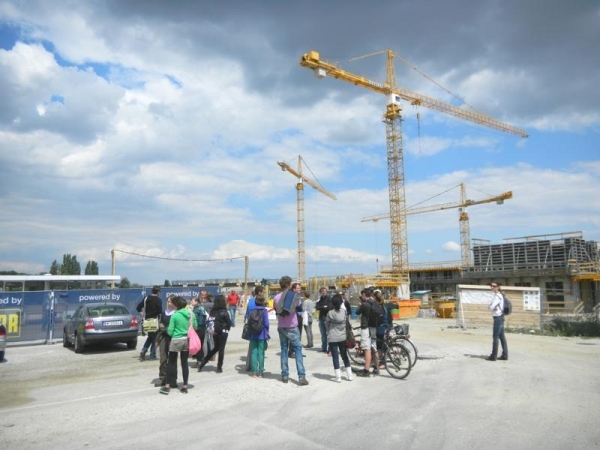 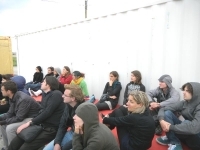 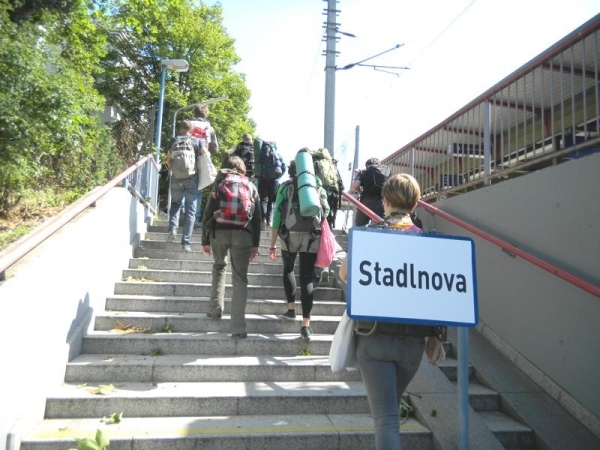 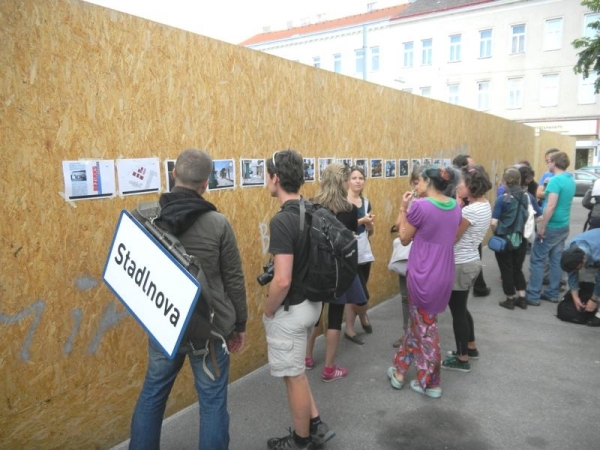 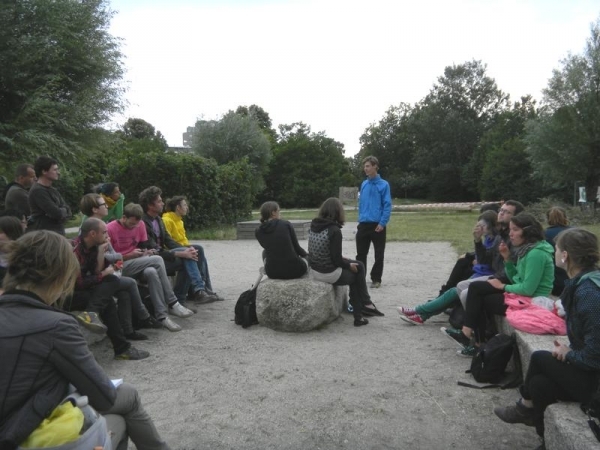 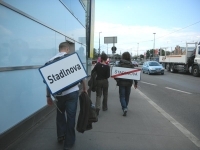 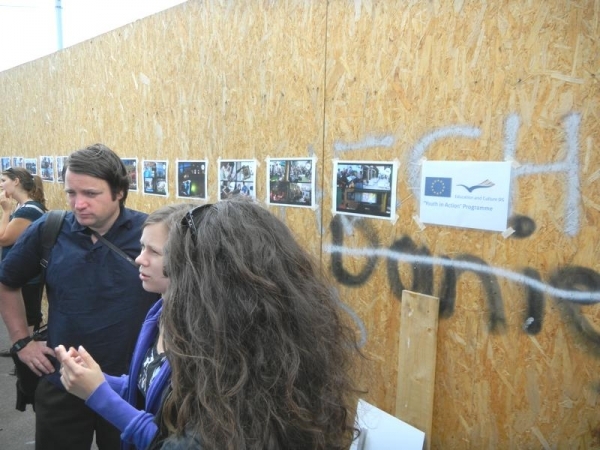 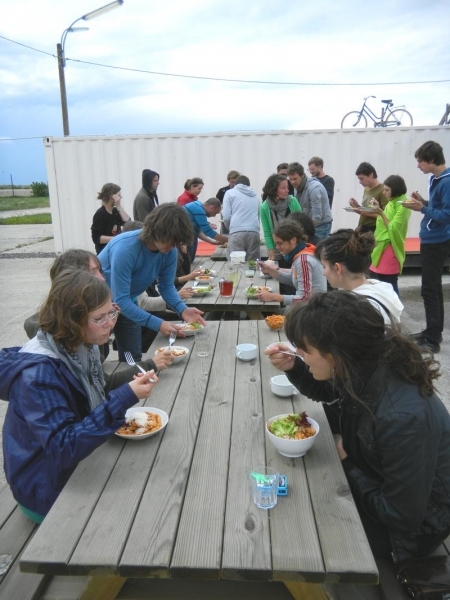 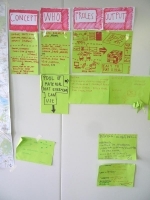 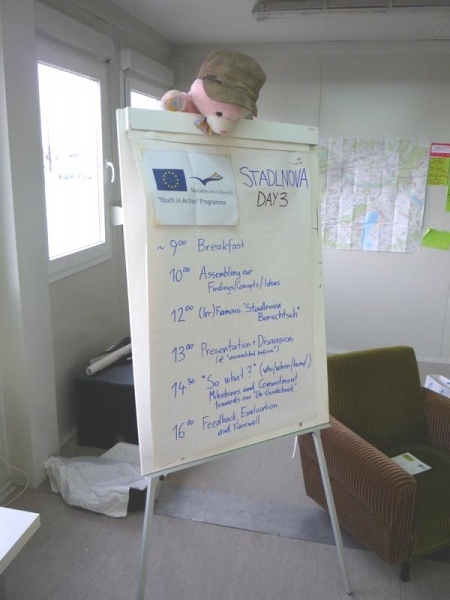 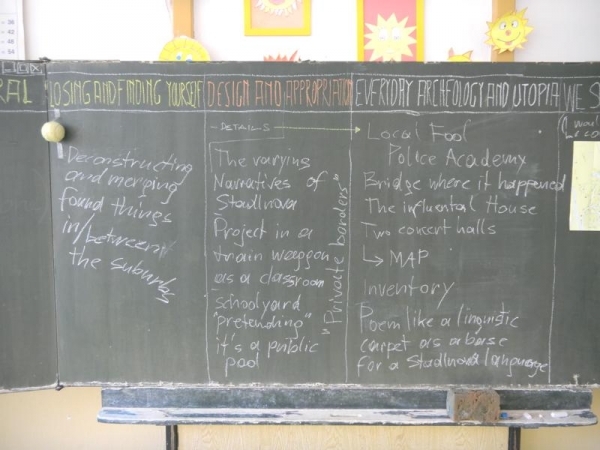 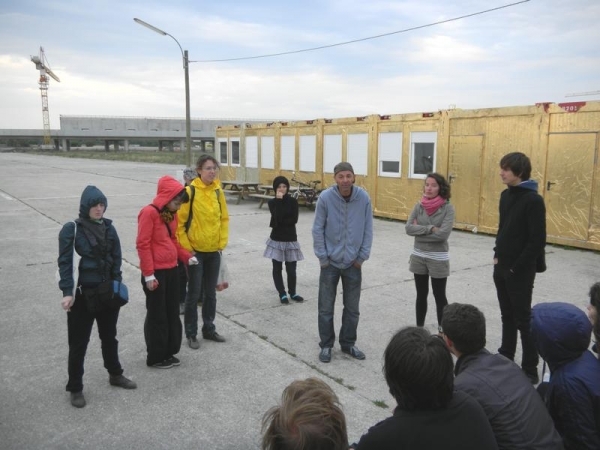 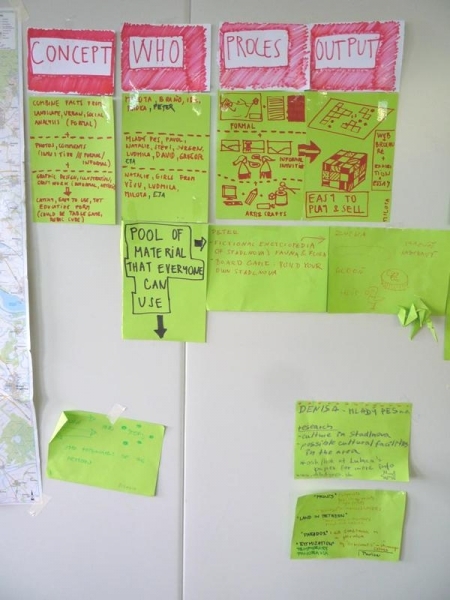 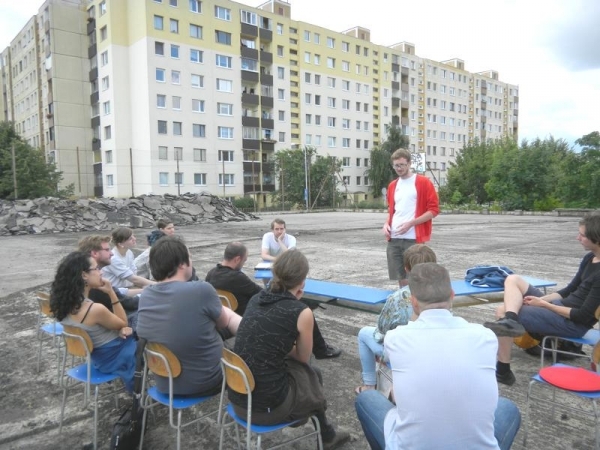 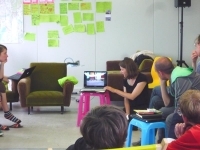 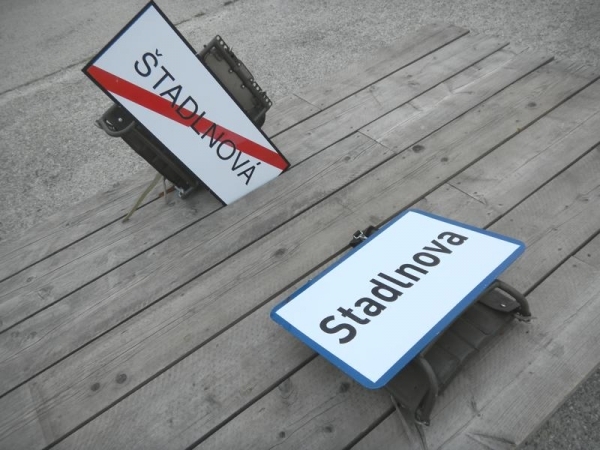 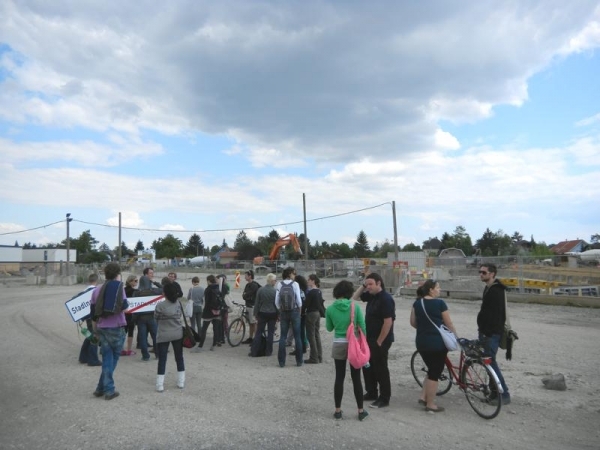 During these three-day-workshops in Devínska Nová Ves (Bratislava) and Stadlau/Aspern (Vienna) we gave them the opportunity to experience the idea of Stadlnova and, inspired by that, focus on their own explorations and on-site researches. Kick-off to each workshop was a tour through the respective suburban area, introduced as part of Stadlnova, covering the whole spectrum between facts, rumors and fiction. 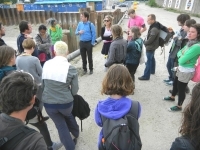 The following two days participants were able to freely focus on their research and creation, adjoined by discussions and reflections. 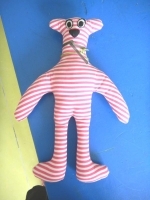 Luckily, many collaborations emerged among our participants, with a wide range of creations and findings - ranging from samples taken from reality to pure fiction - that have been developed to contributions. 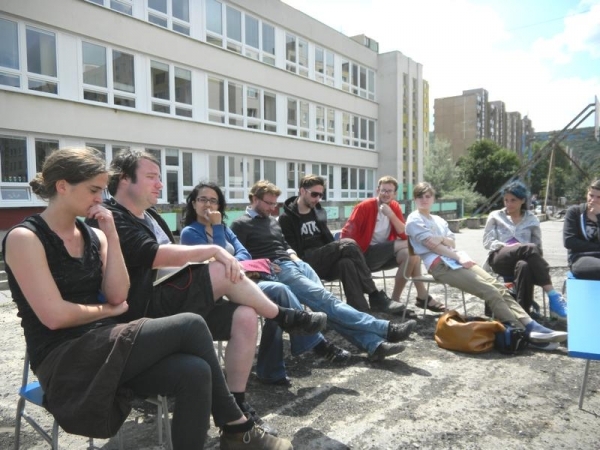 All of which you can find on this website, complemented by a couple of further ideas and contributions that emerged in the recent years. 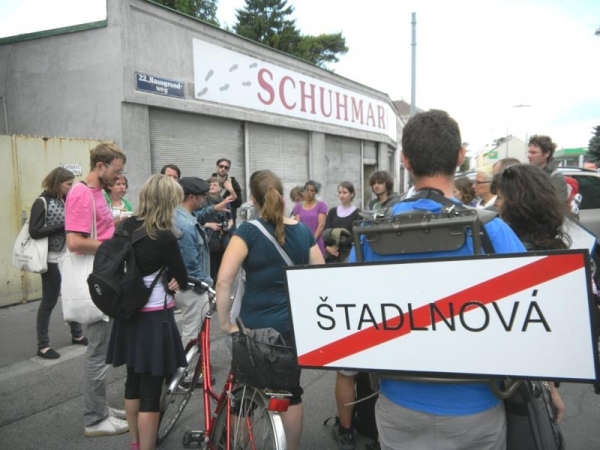 And more than ever, if you're in some way attracted by the odd appeal of Stadlnova and the in-between, get in touch with us: suburbandrifter[at]gmail.com. 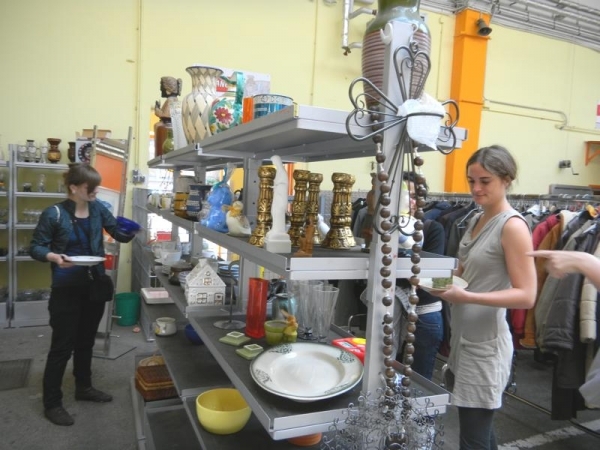 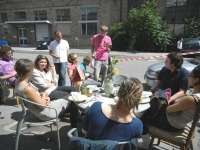 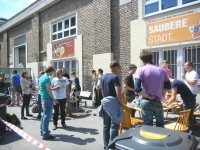 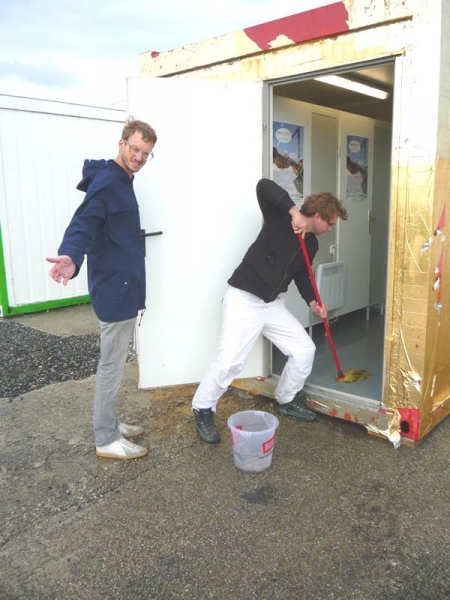 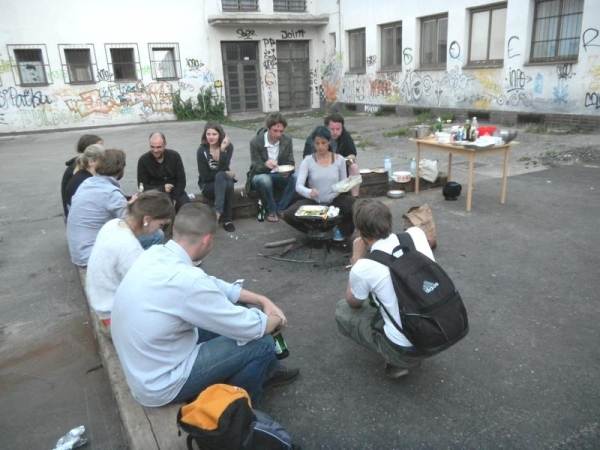 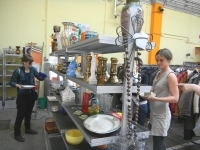 We are always open for ideas and collaborations around Stadlnova, our peripheral space of the possible.